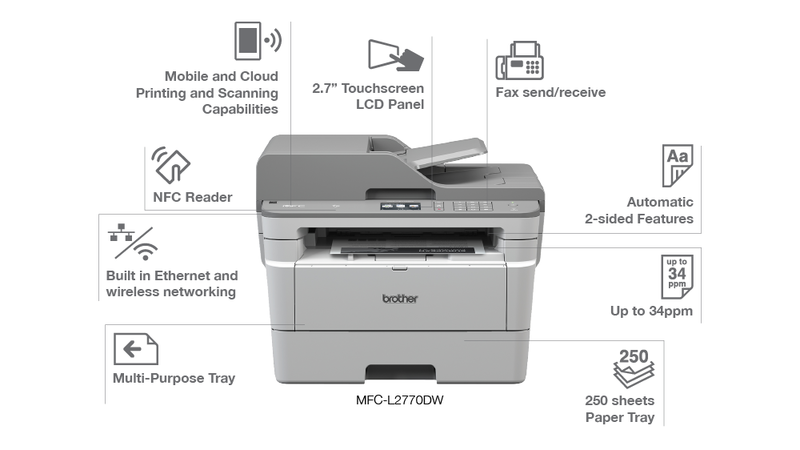 Designed for enhanced productivity and cost-efficiency, the Brother MFC-L2770DW mono laser Multi-Function Centre combines wireless and mobile printing, scanning and copying capabilities to deliver office-wide productivity that you can count on. 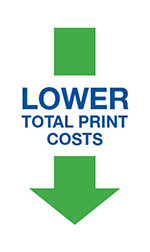 Count on business-class print and copy speeds of up to 34ppm, first page out in less than 7 seconds, and excellent mono print quality for sharp, clear text and graphics. Stay productive for longer stretches at a go with a 250-sheet default paper tray, 50-sheet Automatic Document Feeder, and 30-sheet multi-purpose tray. Start printing from your iPhone, iPad, AndroidTM or Windows® Mobile devices through Brother’s iPrint&Scan, Apple AirPrint, Mopria and Google Cloud Print.